Almost a year ago someone pushed my “world travelling button”. The feeling I gained through this was incredible: a kind of energy boost. This couldn’t be ignored and so I went all out to accomplish this dream. I decided that my current job wouldn’t be one for the long run. I started to put money aside and was over the moon with my idea. But besides all that, I let it run its course. And well, why not already visit the country that’s still on your wish list: Colombia. In my opinion; however things will turn out, it’ll always be fine. Looking back, more things happened in that time. I wasn’t scared to dream big. And because I already decided to (in time) quit my job and terminate the rent on my house, my dreams went beyond the life I’m living right now. I love dreaming! What if everything would be possible? And yes, every now and then the voice in head kicks in and asks ‘How exactly?’ or ‘Is this realistic?’. But thanks to the insights I received the past few months, there was a wonderful umbrella dream. 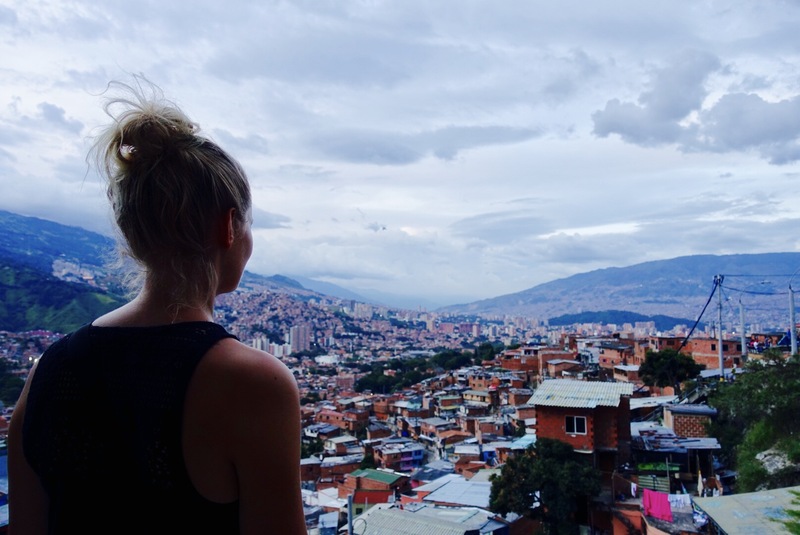 First back to the other insights… In Colombia it was again confirmed that I love to travel. The freedom, adventure, meeting other people, another culture and language, different landscapes: fan-tas-tic! Yet, this trip also made me realize that I don’t like sleeping in a dormitory for four weeks in a row. I realized that occasionally I need a place for myself; to nót live out of a backpack and to nót wake up from the sound of coming or departing roommates every night. Please don’t misread; these things were all fine, but having two square meters of privacy for months in a row… that’s not ideal. The consequence is that I realized that this other way of travelling would cost me more money. I like the laidback type of travelling, to take my time to visit places and plan some relax days in between. I like to go with the flow, the “nothing’s obligated, everything is allowed” mind set. In Colombia I visited two places a week. Furthermore, the country’s incredibly varied. That’s why, after a month, it felt like I was already on the road for several months. Once back home, it felt a bit like I’d already been on my world trip. I was very happy to see all my friends and family again and I really enjoyed being home. That what I already knew became a new insight: I love traveling, but I also love being home. Working gave me a new sense of pleasure again. I just love being busy with the development of others. This is how the dream was created. At first a bit blurred, but then very clear and convincing. I’ll shape my life in such a way that I can alternate between working three months and travelling three months. That means that with these three months of work I’ll create a certain financial freedom for the next free months. Voer je e-mailadres in om je in te schrijven op Endless Freedom en e-mailmeldingen te ontvangen van nieuwe berichten.